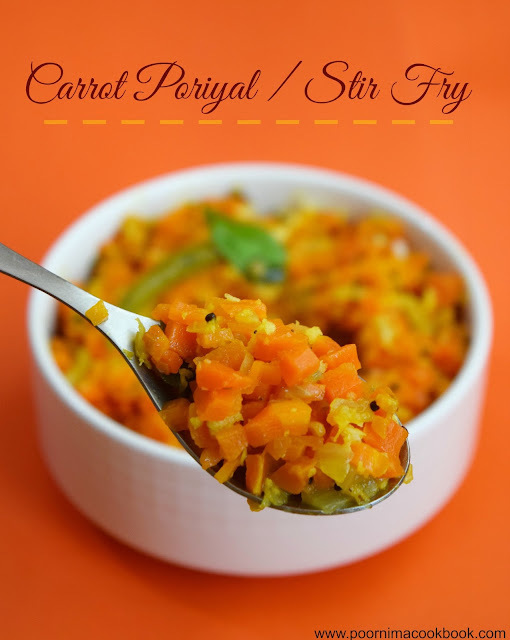 Carrot poriyal is a healthy and easy to prepare stir fry with mild seasoning. This is usually served along with rice paired with sambar / dhal, rasam or curd. Though a simple recipe, often prepared in many south Indian homes; we have it here for the benefit of beginners in cooking. 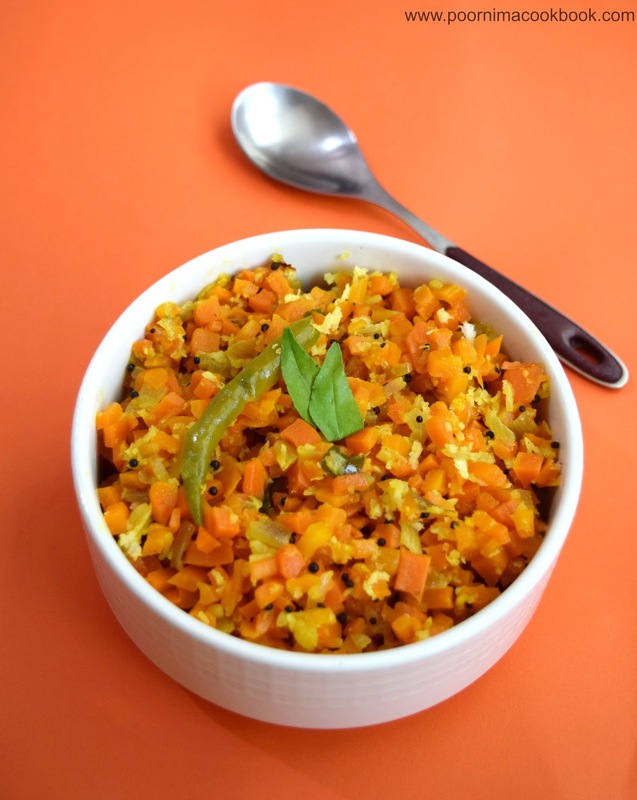 Try to include this Vitamin A rich carrot stir fry often in your menu and stay healthy! Wash, peel the skin and chop the carrots into bite sized pieces. Keep aside. After it crackles, add green chilli and chopped onion . Fry till onion becomes translucent. Now add chopped carrots, salt and water (just to immerse the carrots). Give it a mix. Close the pan with a lid and cook till the carrots in a medium flame till it becomes soft and water dries up. Sprinkle grated coconut and give it a thorough mix. Switch off the gas. 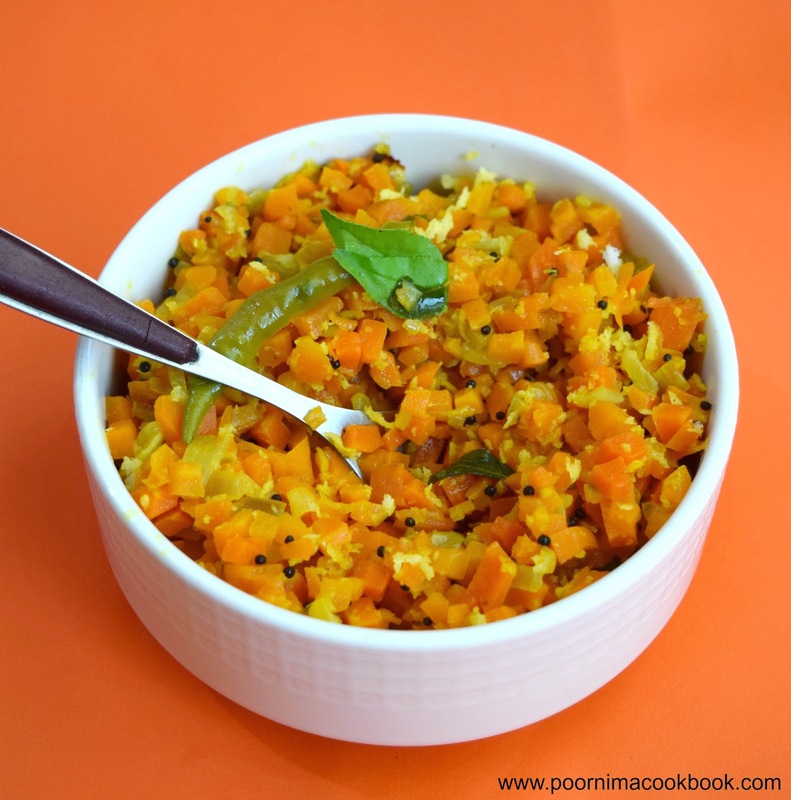 Serve as a accompaniment for rice or as a dry subji for chapathi. 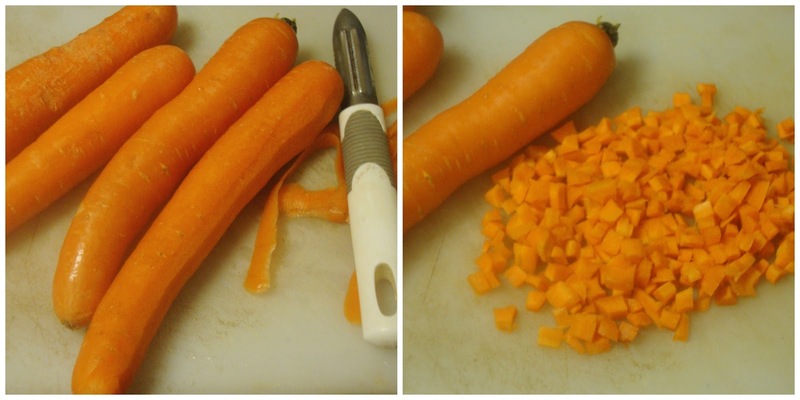 You can also grate the carrots instead of chopping. Those who want to have a low fat diet can avoid coconut and relish.